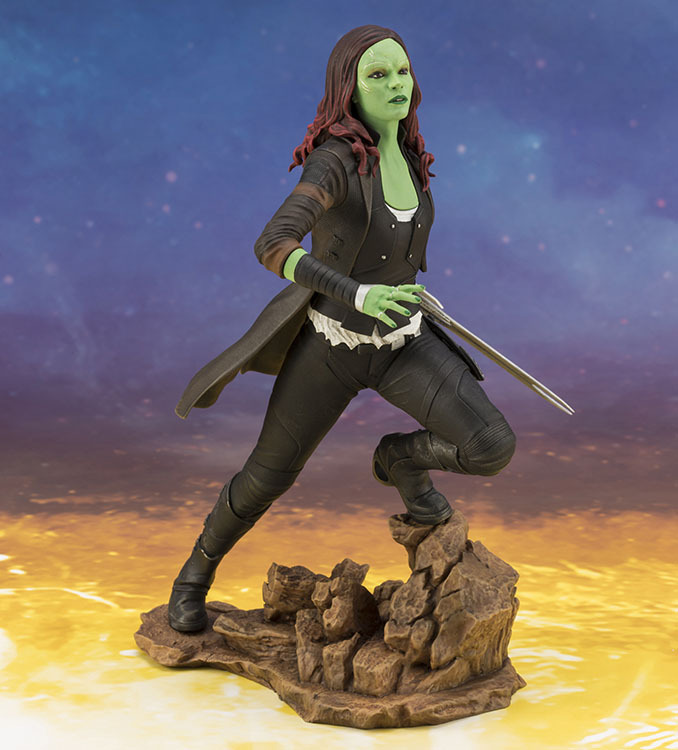 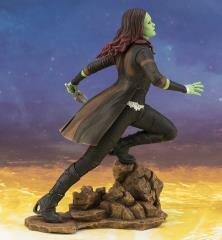 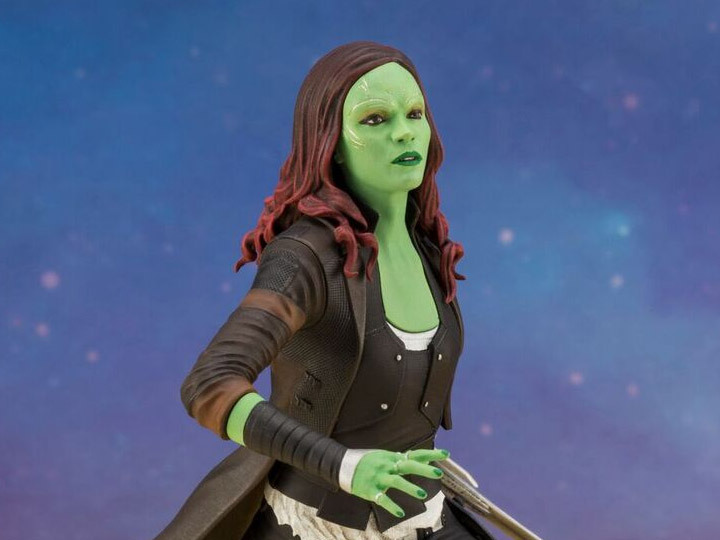 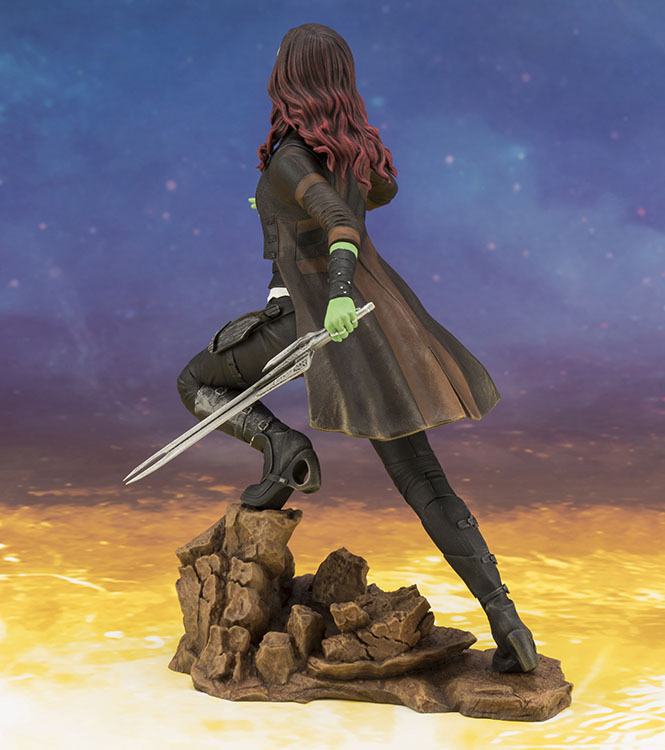 The next character to join Kotobukiya’s lineup of ARTFX+ statues from the record breaking Avengers: Infinity War is the adopted daughter of the almighty villain Thanos, Gamora! 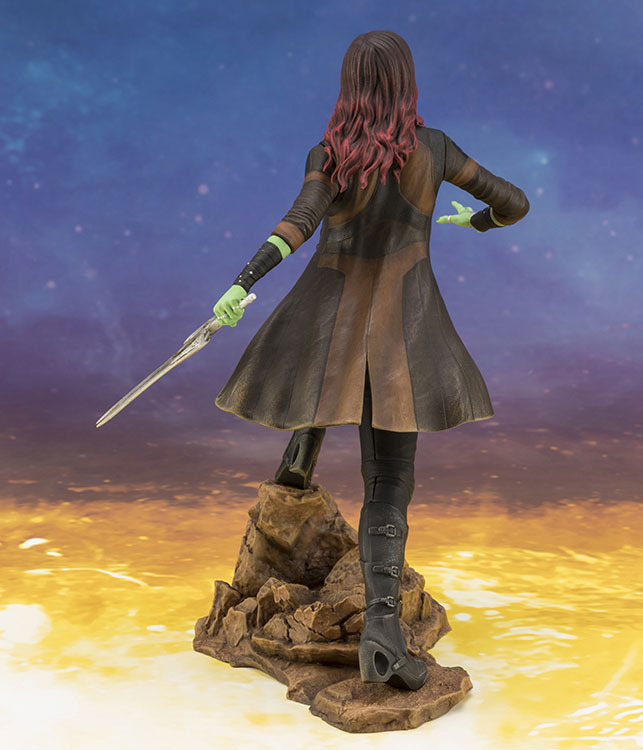 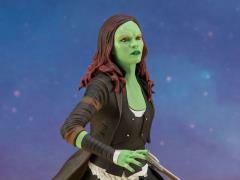 After parting ways with her adopted father, Gamora must confront her complicated past with Thanos as she travels to the planet of Knowhere to take him down. 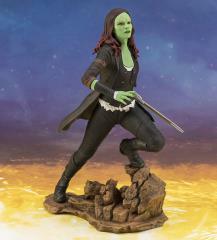 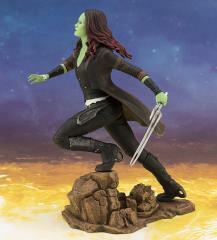 One of the most fiersome warriors in the galaxy, Gamora lunges into battle with her blade “God Slayer” at the ready. The statue’s diorama base is designed to look good displayed along the other Kotobukiya Infinity War statues.